All BARRTON homes currently listed for sale in Delray Beach as of 04/21/2019 are shown below. You can change the search criteria at any time by pressing the 'Change Search' button below. 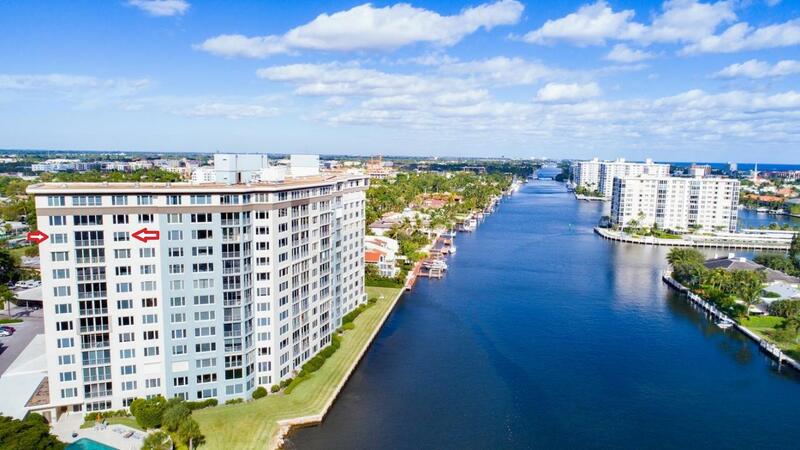 "Spectacular Ocean & Intracoastal views abound from this 11th floor corner Condo in the sky. This is a rarely available 3BR 2.5 Bath Condo at The Barrton boasting a total of 1682 +/- sq ft. Condo features 270 degree views, large living room,separate dining area, walk-in pantry off kitchen, full exterior Hurricane Impact doors/windows. Watch the boats go by. The newly updated Barrton Condominium Building offers a front desk staff, secure/intercom entrance, full fitness room,a party room w/kitchen, a guest suite for owners to reserve for friends/family, an intracoastal front pool area, picnic/bbq area, kayak storage and laundry facilities on every floor. Come enjoy the elegance and convenience of this residence located close to Atlantic Ave shops, restaurants, entertainment, and the beach."